Posted August 11, 2016 by Cox & filed under Announcements, Law in Action, News & Resources. The New Mexico Supreme Court recently limited the application of traditional indemnity, sometimes called common law indemnity, by adopting Section 22, Restatement (Third) of Torts, in place of Section 886B, Restatement (Second) of Torts. See Safeway, Inc. v. Rooter 2000 Plumbing & Drain SSS, 2016-NMSC-009, 368 P.3d 389. Before Safeway, an actively negligent concurrent tortfeasor could recover from a more actively negligent concurrent tortfeasor in traditional indemnification. For example, an indemnitee would have a right to indemnity when the “indemnitor supplied a defective chattel or performed defective work upon land or buildings as a result of which both were liable to the third person, and the indemnitee innocently or negligently failed to discover the defect.” Restatement (Second) of Torts: § 886B(2)(d) (Am. Law Inst.1979). The Safeway Court reasoned that the Restatement (Third) “correctly limits the application of traditional indemnity to cases truly premised on vicarious or derivative liability.” Safeway, 2016-NMSC-009, ¶ 33. In Safeway, a mother and her infant sustained injuries when a baby changing table fell from the wall in a grocery store bathroom. The plaintiffs sued the grocery store and the contractor y that installed the baby changing table. The jury awarded the plaintiff $450,000 in damages and, utilizing a special verdict form, the jury apportioned 60% fault to the contractor and 40% to the grocery store. Before trial, the contractor and plaintiffs settled and the district court granted the contractor’s motion for summary judgment on all of the grocery store’s cross claims, including traditional indemnification. The grocery store appealed the district court’s ruling. 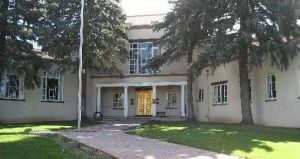 The New Mexico Supreme Court noted that the Restatement (Third) is compatible with prior New Mexico precedent because in certain factual scenarios, “traditional indemnification would allow a party who has been found liable without active fault to seek restitution from someone who was actively at fault. Importantly, a finding of negligence does not necessarily mean a finding of active conduct.” Safeway held that traditional indemnity did not apply in this case because the plaintiffs advanced a theories of lability, and the jury apportioned fault, based on the grocery store’s active conduct. Ultimately, New Mexico tort law is premised on the notion that each concurrent tortfeasor should bear responsibility for an accident in accordance with his or her fault. Therefore, New Mexico now applies traditional indemnity only under true vicarious and derivative liability scenarios where the vicariously liable party has not committed any breach of duty to the plaintiff but is held liable simply as a matter of legal imputation of responsibility for another’s tortious acts.